I was a young boy when this event took place. My father’s work as a Government’s Agronomist constantly demanded his presence in the rural areas. His responsibilities, among others, included pest control, crop storage monitoring and the development of farmers associations and cooperatives. He used to tell us stories of his jeep Willys getting stuck while driving over swarms of locusts and I used to accompany him while inspecting wheat plantations for True armyworm (Pseudaletia adultera), locally known as “lagarta”. It was autumn and the harvest of winter crops had been completed and the depots were full to the brim with wheat. His main job was to monitor the humidity of the grain to prevent post-harvest losses due to the normally high humidity levels prevalent in southwest Uruguay. On that day, one of the workers who knew me gave me a bottle of a known local methylated spirit made of dark green glass with a stopper made of a maize cob, and announced that it contained a surprise. I did not see anything and was consequently unimpressed, as an empty bottle did not mean much to me. Before I could ask, the Manager of the cooperative who, together with my father were watching said, “Have a good look as there is something inside that I am sure you will like”. I strained my eyes and made out a tiny object rolling inside. I removed the cob and gently shook the bottle until I managed to get the object out and on my hand. It was a wet and shiny green feather ball that on closer inspection became a dead hummingbird that still felt warm to the touch. It was a sad sight and I was not too impressed with the “present”. Before I could react though, the bird moved slightly and I realized that it was breathing and apparently asleep! 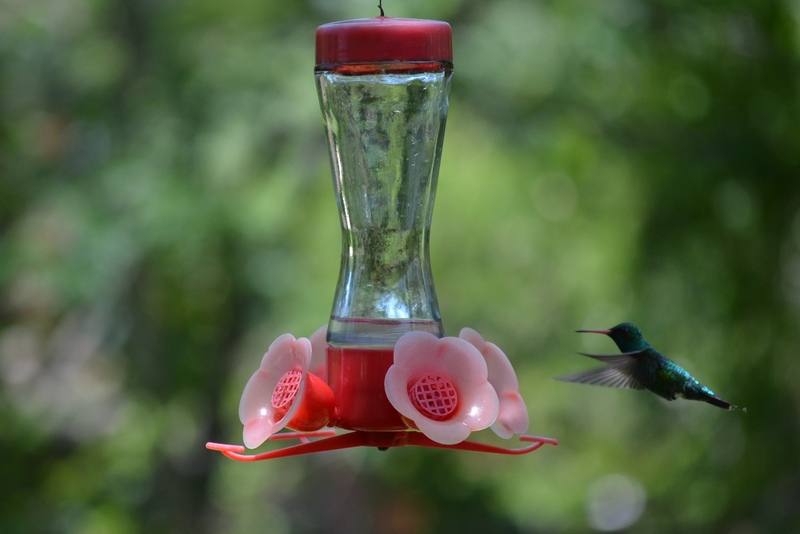 A Glittering-bellied Emerald hummingbird pictured at an artificial feeder in Colonia Carlos Pellegrini, Corrientes, Argentina. 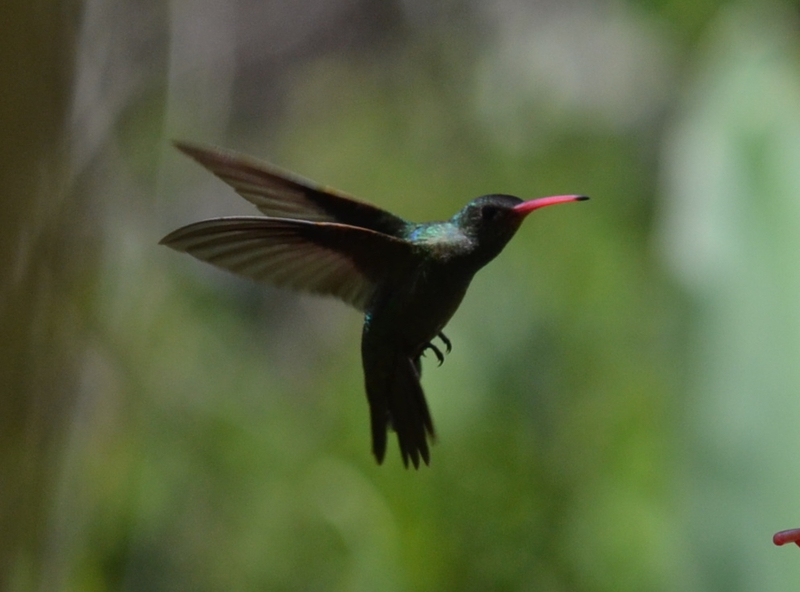 It was the common Glittering-bellied Emerald hummingbird (Chlorostilbon lucidus). Its slumber was explained by the alcohol vapours still present inside the bottle. So, suddenly, I was the new “owner” of a drunken miniature bird and became responsible for its welfare. 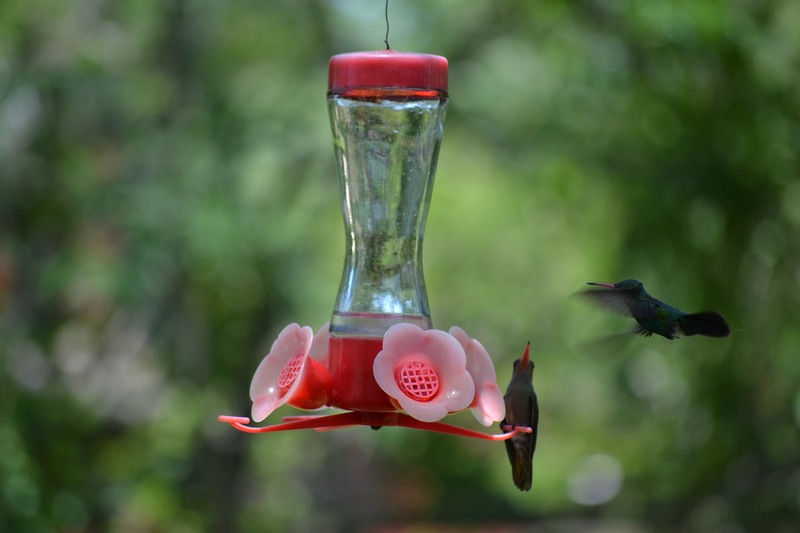 Close-up of the Glittering-Bellied Hummingbird. 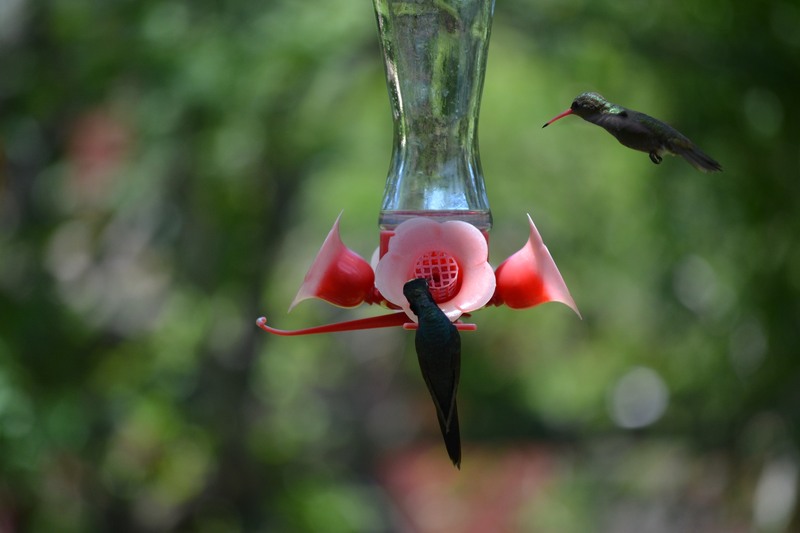 A second one lands on the feeder. Another view of the bird with an unidentified one with its back to the camera.. I held the bird on the palm of my hand where it rolled backwards and forwards until I was able to accommodate it better with a piece of cloth to stop its rolling. Once settled I spent the rest of the day holding it on my open palm being careful not to drop it as it was a very small bird. When my father’s work was done, it was time to get back home and I was still holding the bird. So I travelled the hour that it took to get home holding the bird and watching it as its efforts to regain normality became more and more frequent. By the time we arrived it was already over its alcoholic haze and it was ready to go. So, as soon as I left it alone outside and it got familiar with its surroundings it hopped to a small branch to preen itself (and recover from the hangover?) and soon flew away. An adult bird of this species weighs between 3.5 and 4.5 g while a normal Bic biro weighs 9.0 g !! !